Ladies/women are generally and/or basically wired a certain way such that certain components have to be not just present but standing erect, firm & sturdy to bear the weight of a relationship; a romantic relationship with them. These components, “Pillars” if you may bear the weight of the relationship itself just like literal architectural pillars bear the weight of a building & alongside the walls ensures that the quality of the foundation counts for something, being that the pillars connect the foundation often to the roof. 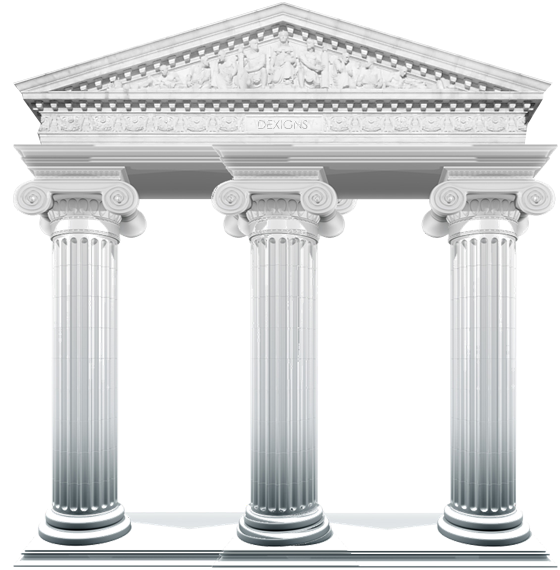 Your guess is as good as mine (as hinted by the title, lol) that these pillars are PROVISION, PROTECTION & PRESTIGE. Just like architectural edifices requiring pillars seldom remain standing with just one pillar so also the fortress that a relationship seldom stands, as a sure success where and/or when the man who seeks her love possesses only one of these pillars or none at all. Most men do fine with two (2) of them after all,2/3 is academically considered a pass mark while 1/3 is deemed a failure. Men who possess the three (3) in good measures are so awesome, yet so rare; such a man is deemed a unicorn! A fantasy creature considered by many to be an awesome work of fiction hence does not exist. PROTECTION simply put is the process of keeping safe or remaining safe. A woman is made to want to be protected, she wants to feel protected, of course,there are exceptions to every generalization, however, the feeling of protection is heartwarming to the average woman, especially when it is by someone she loves regardless of whether or not she is capable of protecting herself physically or otherwise. Pushing aside the academic meaning of protection, in literal and/or real terms, a woman wants a man who can protect her interests, well-being & welfare. I see a number of muscle building gym buffs on the side flexing their muscles in excitement but sorry to burst your bubble “homies”, that is not what this necessarily means. She asks herself certain questions which beg answers that may render the circumference of your arm redundant. “Can he protect the investment of my emotions, time, resources, sweat, tears (of joy & sadness), money, prayers, effort, energy and the entire essence of my being amongst many other things and make them into something beautiful?” “Can he protect them & me, my spirit, soul, body, emotions, psychology, finances, endowments, gifts, talents, skills, abilities and blessings alongside the things I hold dear, material & immaterial, animate & inanimate, human & non-human, such that I and/or they do not suffer loss?” These questions are potentially more rhetorical than not. Muscle mass is hardly the matter, last time I checked muscles were and/or are for sale to the highest bidder. Sister, it isn’t about his six packs, question is, can he offer protection? After all, one who can offer protection can also get a six pack if he sees fit however the reverse is rarely the case. This article was written by Tayo Odeyemi. He is a freelance writer whose niche is social commentary, with written works that appeal to the intellect and conscience of man. He resides in Abuja, Nigeria. He can be reached on facebook HERE. Don’t forget to read, learn, comment and share. Thank you for reading.